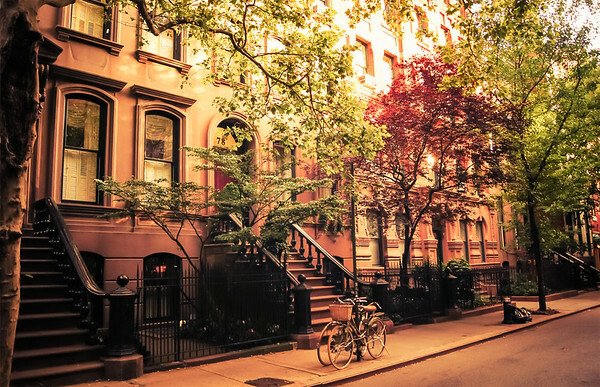 Two bicycles rest alongside a pole on a beautiful West Village street in the summertime in New York City. New York City photography gallery by Vivienne Gucwa. All photography available as prints and to license for film, print, television, streaming media, book covers, album covers, and digital use. I am the author of two books: New York in the Snow and NY Through The Lens.